If you have a toddler who has not been to a dentist, we urge you to consider making an appointment today by calling Black & Bass Cosmetic and Family Dentistry at 215-368-1424. The best time to start dental check-ups for young children is when their teeth first appear. This may seem a bit early; however, it is a great time to become acquainted with preventative dentistry options such as sealants and fluoride supplements. Your dentist can assess the health of your child’s teeth before problems begin and it’s also helpful for parents to get a refresher course on proper oral hygiene for young children. We are Kevin Bass and Lawrence Black of Black & Bass Cosmetic and Family Dentistry. The American Academy of Pediatrics advises parents to begin children’s dentist visits before the third birthday. If you have questions about pediatric dentistry, please give us a call at Black & Bass Cosmetic and Family Dentistry. Bring your questions to our calm and friendly staff at Black & Bass Cosmetic and Family Dentistry. We are located at 410 N Broad St in Lansdale, Pennsylvania. You can reach us at 215-368-1424. 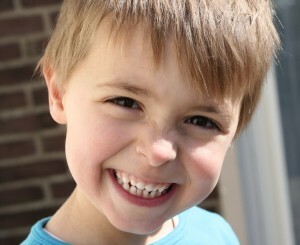 We want your child to have a healthy smile right from the start and enjoy a lifetime of oral health.